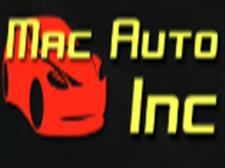 At Mac Auto Inc we are proud of the quality used cars we sell and our dedication to serve the needs of our customers. This is reflected in the amount of repeat business we receive. Whether this is your first purchase with us or one of many that you’ve had, you can count on our dedicated sales staff to make it the best buying experience possible. I met with Marty first and he was straight to the point. Andrew picked up where Marty left off and worked on the deal with me. I got the truck I wanted at a great price. I would definitely recommend them to anyone wanting to support a smaller family owned business. I bought a used vehicle here. Prices are very reasonable. But service is amazing! I highly recommend them. They are very honest and very helpful. These guys are fantastic! Seriously the best car buying experience I've ever had! I have really bad credit and they somehow found a bank to accept me based on my down payment and job! I went to a few dealers that claimed they could help me, but they only wanted to help me into a $17,000 car that was worth $3,500 tops. Thank God I found Mac Auto! Fred is the man! He's a BMW guy and he knew what I wanted! I got a 2005 BMW in excellent condition. In fact, I just took it to CREVIER BMW yesterday to have it serviced and inspected. They confirmed what I already knew, it is a perfect car! So nice to make payments for a car I'm proud to drive! THANK YOU MAC AUTO!!!!!!!!!!!!!!!!!!!!!!!!! !